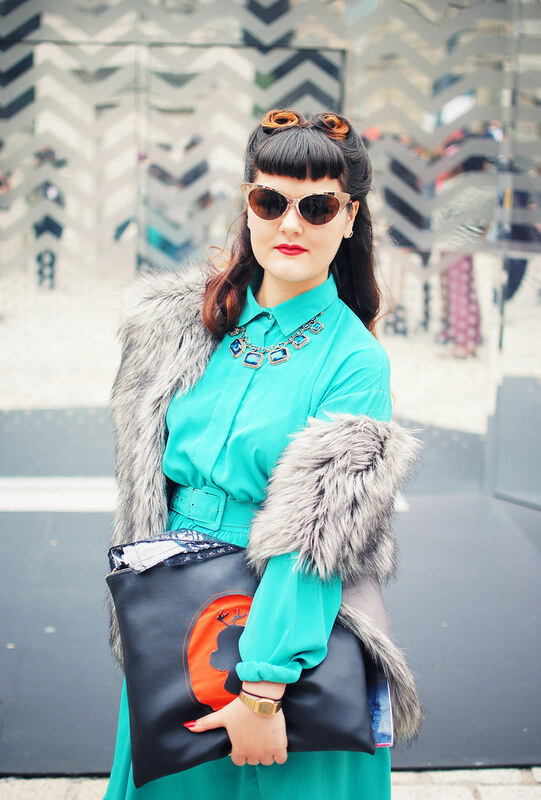 Another lovely retro lady spotted at LFW. Her name is Heather Maria Valeria Johnson and she is a Fashion Design student at Westminster university, London; her blog. Damn, she’s interesting! 🙂 I love this look!